Unfortunately for us, we took a longer traveling time than usual. 6 and a half hours to Penang rather than the usual 4 hours. Only because we didn't realize that it was the first day of school holidays. Why oh why? By the time we arrived Penang, we had to get ready and head over to the banquet venue. The next day, we headed down to Ipoh to spend time with his family and indulge in some good food before heading back to KL. After numerous trips up to Ipoh, this, indeed was my very first time having Ipoh Taugeh Chicken Rice (Nga Choi Kai). 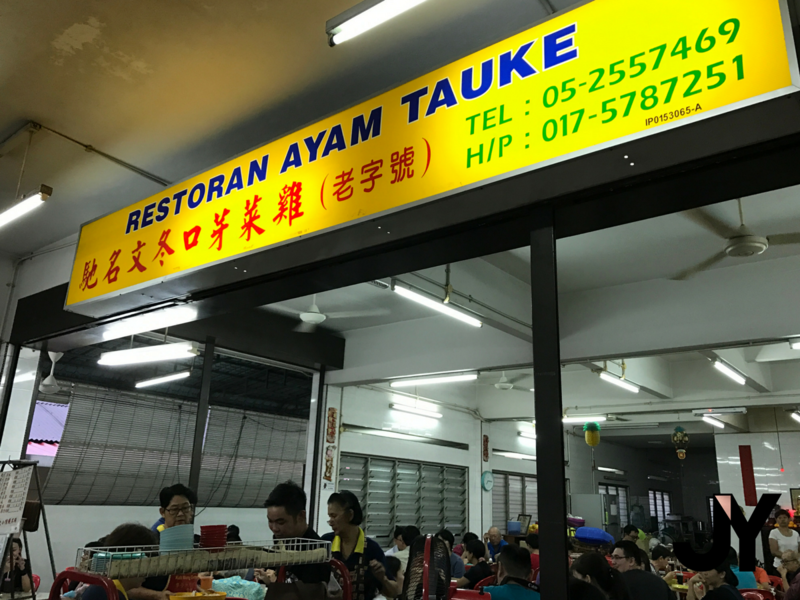 Located deep inside one of the townships in Ipoh, I was brought to Restaurant Ayam Tauke @ Buntong, Ipoh. The restaurant is located in a residential area and the place was full when we arrived at 7pm. Don't go too late, or if you happen to do so, don't go on an empty stomach or if you can't wait as we had to wait for an hour and a half before our food was served. 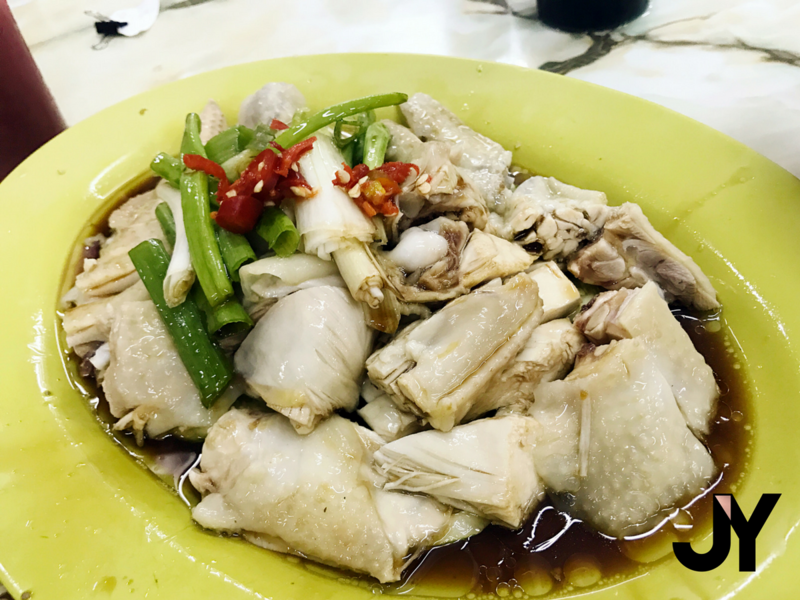 We were served a huge plate of tender, perfectly poached chicken. However, the seasoning was a little light for our liking. Hor Fun was definitely silky but the huge plate of taugeh was the best of all. Fresh, crunchy taugeh with the same seasoning as the chicken. 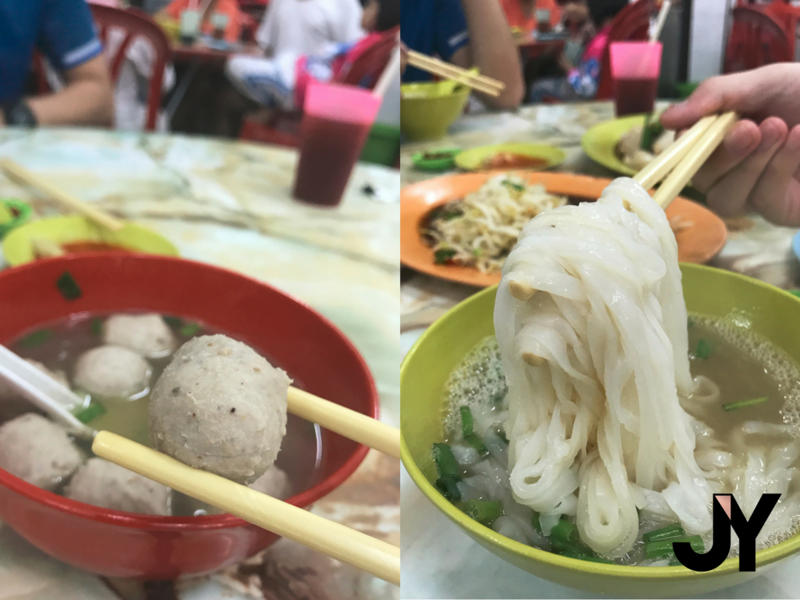 Not forgetting a bowl-full of tasty porkballs. No. 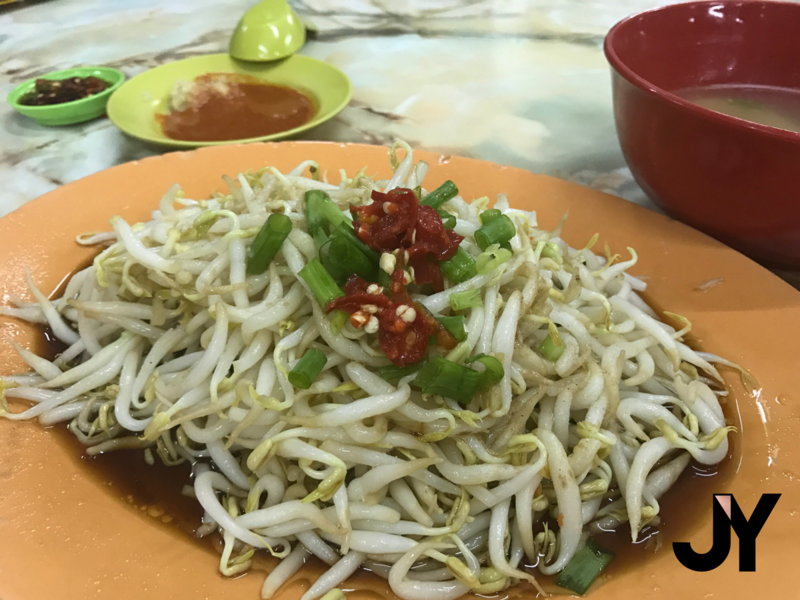 849, Jalan Guntong, Buntong, 30100 Ipoh, Perak.